The full AMSTR in PDF is avialable only to AANM members in good standing. 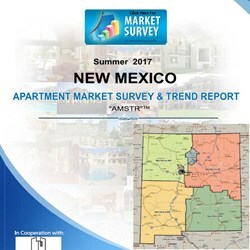 The AMSTR is a detailed, aggregated report analyzing the entire state, each of our main counties, and the prominent multi-family submarkets within the state. This report is published on a regular basis and available to members and non-members for both participation and purchase. AANM Members are eligible to receive a complimentary summary. Requests for the complimentary report can be made by email.